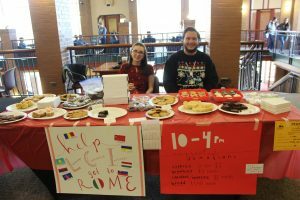 On Monday, Feb. 4, students hosted a bake sale in the upper J.C. Williams Center to help fund the Language & Catechetical Institute’s (LCI) pilgrimage to Rome. The bake sale, organized by senior Sarah Lawlor, raised funds and awareness for Franciscan University of Steubenville’s sister program, the LCI. The LCI is a program for eastern European Catholics to learn English and catechesis at Franciscan University’s Gaming, Austria, campus. 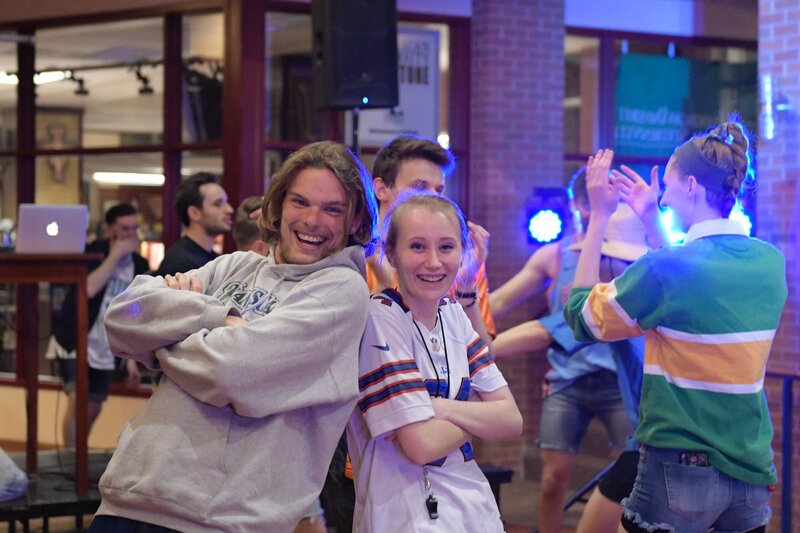 They live and learn with Franciscan students, growing in faith and knowledge together. Usually, the LCI joins Franciscan students on their Rome pilgrimage. However, this semester, the program lacks the necessary funds. 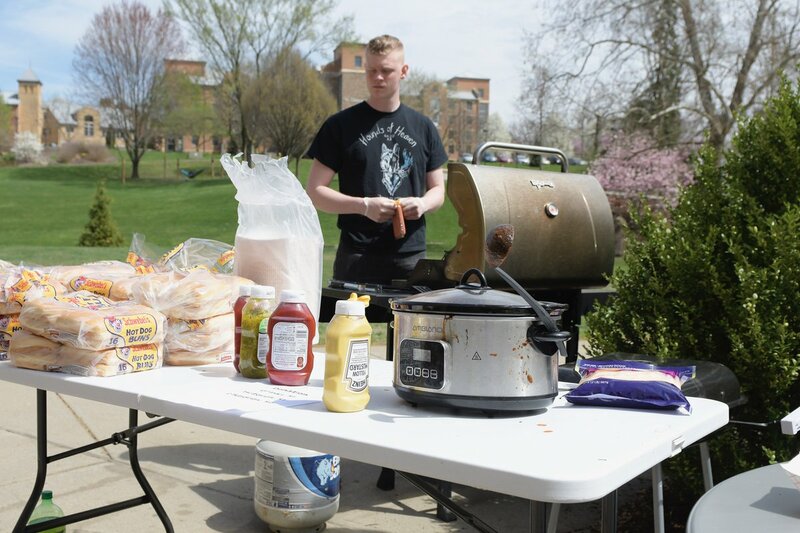 When some alumni of Franciscan University heard of the LCI’s funding dilemma, they proposed the idea of starting a bake sale. Lawlor took the initiative to organize it. Lawlor was surprised at the amount of support the bake sale gained, receiving many baked goods and donations. She especially noted the support of professors who have taught at the Gaming campus, such as professors Robert McNamara, who holds a master’s in philosophy, and Alan Schreck, who holds a doctorate in philosophy. Lawlor emphasized the important roles that her fellow students played in making the bake sale possible. She needed to organize the bake sale in 10 days, and in that time, she ended up with almost two dozen people helping her bake and man the table. Recounting her worries about having enough baked goods, Lawlor noted the providence of God in the entire project. 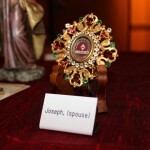 “God just multiplies everything by 10,” she said, comparing this project to Jesus multiplying the loaves and the fishes. Students stopped by in a consistent flow throughout the day, contributing funds toward the LCI’s pilgrimage costs. Lawlor hopes that the bake sale will make it possible for the LCI students to pilgrimage to Rome. If not, another bake sale is in her future plans.